Ashley Judd: I'm very pleased that you're asking me about those sorts of things because that's a lot more meaningful than, you know, "What kind of earrings are you wearing?" Namaste. 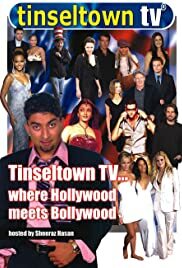 More and more, weekend TV is brimming with fine Indian variety shows such as TINSEL TOWN TV. It is easy to enjoy the ample entertainment these shows contain. Indian dance is world famous for its color, grace and beauty. Indian women are world famous for consistently placing in the top three in the MISS UNIVERSE contest each year. Indian movies are world famous for their grand display of energetic dance. Some Indian music, such as "Oh My Darling" from the movie MUJHSE DOSTI KAROGE (2002), is irresistibly catchy to American ears. Some American made Indian variety shows are produced in big city TV studios and are distributed nationally, and some are created at small independent stations and are broadcast to only a single local city. All, seem to be labors of love. Without exception, all cheerfully show the best parts of Indian culture. Viewers learn about the Holi festival and Diwali celebrations, Republic Day and Indian Independence Day. We learn about the Indian-Pakistan partition, the teachings of Gandhi, and traditional family values held by the people of the Sub-Continent. Movie buffs learn that "Indian commercial cinema" and "Asian glamor movies" only represent one facet of the films produced by the world's most prolific movie producers. Commenting on one oddity, often the young singers and dancers we viewers _SEE_ in Indian music videos are not the singers we viewers _HEAR_ singing. It is common for elderly men and women to provide the singing voices for the young actors we see performing in Indian movies. For example, the ultimate leading man of Indian commercial cinema, Amitabh Bachchan, was never allowed to sing his own songs in his movies until he turned 55 or 56. Bachchan is the king of Indian film actors. 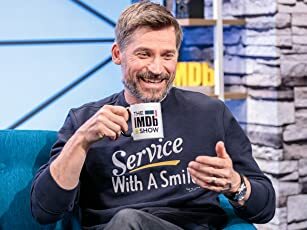 So far in 2004 he has had two major films released on the very same day. Bachchan has an exceptionally rich and distinctive singing voice. But sadly, during these last many decades with him being the leading man in over 100 song & dance movies, even Bachchan had his voice always replaced with that of assorted unseen elderly men until he grew older. The beautiful and healthy young Indian actresses also almost always have their youthful singing voices replaced by elderly women. On the rare occasion when a young actor or actress is able to sing the modern rock songs they are seen performing in their films, the music can be as wonderful as any in the world. If any Indian entertainment show such as PASAND APNI APNI, BOLLYWOOD TV, SHOWBIZ INDIA (Si-TV), AAP KA MANORANJAN, TINSLE TOWN TV, ASIAN VARIETY SHOW (AVS), WHAT'S UP TV, ASIAN ENTERTAINMENT, DESI TV, or PLANET BOLLYWOOD comes to your weekend TV schedule, it is worth a look. The program may prove to be surprisingly irresistible.